To create timeless art that makes the viewer feel joyful and uplifted – this is the wish that lies at the heart of Ayaïro’s creative process. Born and raised in Tokyo (1991). As a toddler, Ayaïro was so absorbed in drawing that she always carried around a drawing pad and a pen, surprising everyone around her with how quickly the pen ran out of ink. While growing up, she became captivated by Western films and music, which led her to major in the English language at university. Being exposed to overseas cultures daily, she started to understand and connect with the beauty of her native homeland, which she had not appreciated before. 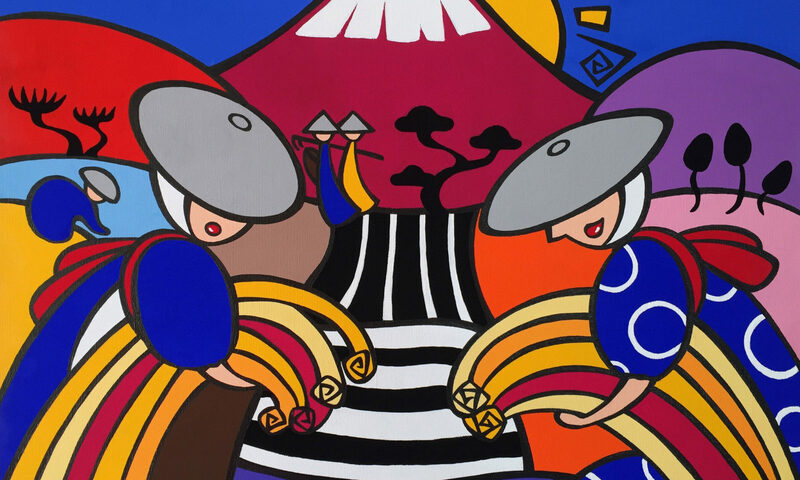 She started painting with her current style and theme in 2017 and today, she keeps on painting with the hope of expressing her interpretation of the beauty and spirit of Japan, alive and well through centuries. Ayaïro never attended art school, and her painting technique, using acrylic and a pen, is self-taught. She strongly believes in the energy that color brings to people’s lives. Her simple illustration-styled art with bold lines is inspired by Japanese Anime and Manga, which she loved when she was a child. 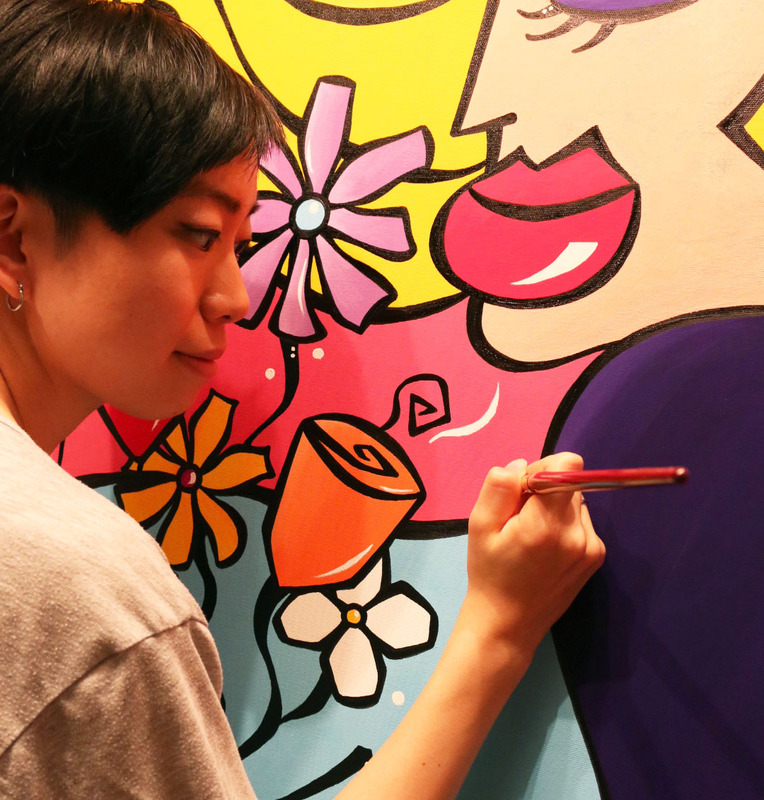 She continues to develop her own unique painting style characterized by movement that evokes images of Manga Art, as well as flatness, distortion and humor, which are commonly found in Japanese Art such as Ukiyoe.